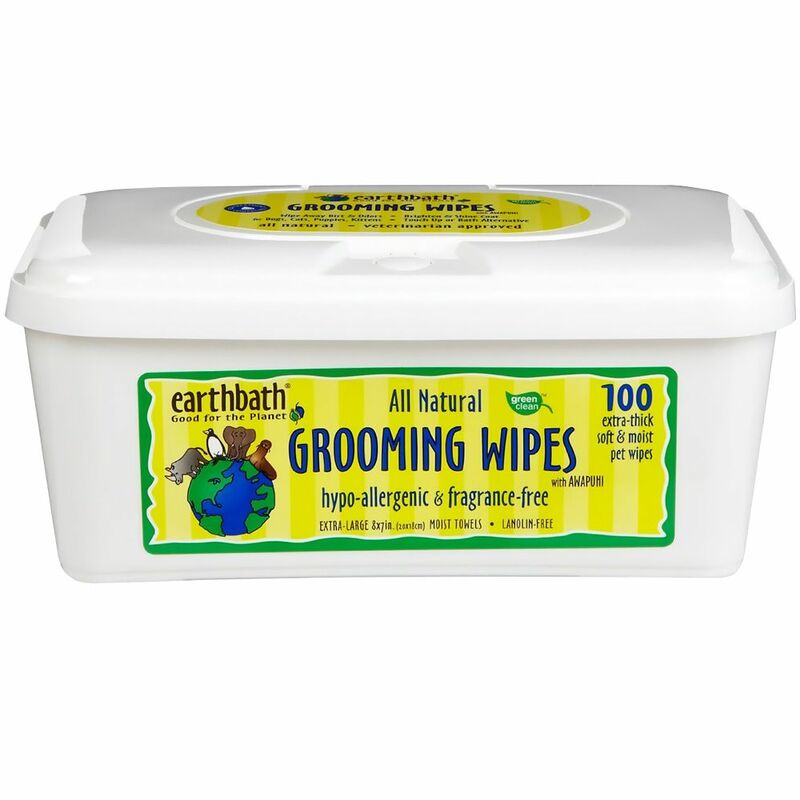 Earthbath Hypo-allergenic Wipes are all natural, extra-thick moist towelettes to clean your pet and any mess your pet might make. These grooming wipes can be used topically to directly clean the coat and skin of your pet. The wipes also work to restore the luster to your dog's coat and to remove odors. These wipes are perfect for cleaning pets, whether you or just touching them up or using them as a water-free alternative to bathing. Earthbath Hypo-allergenic Wipes are alcohol-free and safe for daily use on your animals even when using spot-on flea control treatments. These wipes come in a tub of 100 wipes that will keep them moist until the day they're used. Keep your pet smelling fresh and order these wipes for your pet today! Ingredients: Deionized water, Polysorbate 20 (a natural derivative of sorbitol), Hawaiian Awapuhi Extract, Aloe Vera, Vitamin E, and Benzoic Acid (a natural preservative). Instructions: Open lid. Remove wipe. Close lid tightly. Wipe entire pet.